The ultimate Peruvian family adventure. Explore the ruins of the Sacred Valley, experience vibrant Cusco and tread in the footsteps of the Incas on one of the most iconic treks in the world: the Inca trail. Peru is a fantastic destination for adventurous families, with interest for parents and teens alike. The cities of Lima and Cusco offer great food and a vibrant café culture with ample opportunity for people watching, whilst the Sacred Valley and Machu Picchu offer fascinating insights into the ancient Inca culture. Your holiday starts off in Peru's capital, Lima, where you will break your journey and recover from your jet lag in relaxed surroundings. You will then travel to Cusco, the heart of the ancient Incan empire. After a day or two taking it easy and acclimatising (Cusco lies at 3,300m above sea level) you will explore the Sacred Valley, visiting the ancient Inca sites of Ollantaytambo and Pisac and a colourful local market. You will then set off on the four day Inca trail, one of the world's most iconic treks. The trek is an incredible experience, combining spectacular views, interesting ruins and amazing walking. This is a demanding trek, mainly because of the altitude, but we have ensured that there is ample time for acclimatisation before you head off. Your trek ends at Machu Picchu, where you will arrive in time to see the sun-rise above the magical ruins. 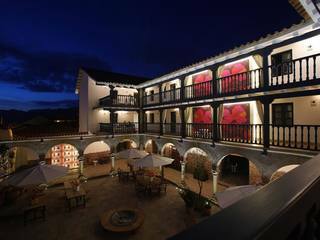 You will then have a guided tour of the complex, before having some free time to explore before heading back to Cusco. If you want to spend longer in Peru, we would suggest extending your holiday with a trip to Lake Titicaca or to a lodge in the Amazon. Please contact us for details. There are three different treks to choose from for this holiday. The Inca Trail is the most popular, but sells out months ins advance. The Salkantay and Lares Trails are good alternatives. DAY 1: Arrive- Transfer to Lima. After a long flight, you will arrive in Lima, Peru’s capital, where you will be picked up and transferred to your accommodation. Today you will have a half day group guided tour of Lima including the Historical Centre: Plaza Mayor ("Main Square"), the Government Palace, the Archbishop's Palace, the City Hall and old streets with colonial mansions and Moorish balconies. You will also visit a historic convent, an icon of colonial architecture. The tour goes all the way to the modern district of San Isidro and Miraflores, where you’ll appreciate huacas or sacred Inca structures before seeing the Pacific Ocean coast from the seafront. This morning you will fly to Cusco. Once you land, you will transfer to your accommodation where we recommend you take it very easy for the rest of the day. As you will be flying in from sea level, you are likely to experience mild altitude sickness. The best remedy for this is to drink lots of fluids and rest. Today you will be starting to get used to the altitude and so you might want to explore the town. The central Plaza de Armas is a good place to start. 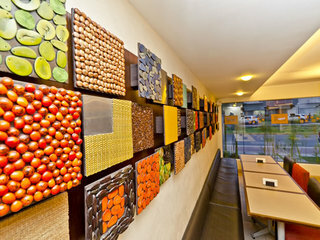 We also recommend checking out the Museo Cacao or "chocolate Museum". Whether you take a cooking class or indulge in marshmallows and chocolate fondue in the cafe, it's a great way to gain an insight to the cocoa production in Peru. The more active might want to spend the day white water rafting. Today you will join a group tour of the Sacred Valley. If you have suffered from the altitude in Cusco, you will be pleased to know that from here on, you will drop well below the 3,300m mark! The first stop is Awanacancha Cultural village where you will see a variety of camelids (llamas, alpacas, vicunas) and women demonstrating traditional weaving techniques. The next stop is the market of Pisac where you can sample delicious fresh bread that this area is known for. The market has many colourful stalls selling a wide variety of locally produced handicrafts. From the market, you are driven up to the stunning Pisac Ruins, which offer an excellent insight into how the Incas cultivated and managed their crops. You will stay here for around 1 1/2 hours, whilst your guide takes you on a tour, explaining Incan farming techniques, as well as showing you the ceremonial centre at the top of the terracing, where mummification, the sacred rituals of preparing the higher classes for the after life, took place. Time for lunch and you head to Urubamba where you will stop at a tourist restaurant for lunch. After lunch, you will head to the pretty Andean town of Ollantaytambo where you have a guided tour of the spectacular ruins. The terraces here were not for agriculture, but were part of a huge temple complex that was being built to honour the sun, an important Incan deity. The temple was never finished, as building was interrupted by the Spanish invasion. You will overnight in Ollantaytambo, before starting the Inca Trail tomorrow. You will meet your guide and group early in the morning before embarking on a 2 hour bus journey to the start of the trail. Your guide will be able to tell you about the land you're travelling on and answer any questions about the area you may have. Before you start walking you'll have your first photo op of the Veronica Snow Mountains. With that beautiful vista as your backdrop. The first part of the walk will see you following the Urubamba river to the first archaeological site Llaqtapata where you will stop for lunch. For the afternoon walk you will start climbing uphill through the valley until you reach the last village, Huayllabamba, where you will camp for the night. Today's breakfast is the most important meal of the trek, ensuring to be carb filled it will help prepare you for today's walking. Three hours after the start you'll reach the highest part of the trail which is called Warmiwañusca or Dead Woman's Pass at 4200 metres (13800 feet). After lunch you'll have a short two hour descent to Pacaymayo, where you'll spend the night. If you're lucky your chef will already have your well deserved meal cooking on the fire. Don't be surprised if everyone heads to bed early after a tough but rewarding day. Possibly the most diverse day of sites and views, you will start the morning with an ascent to the pass of Runcuracay which sits at 3900 metres (12800 feet) followed by a short descent to the archaeological site of Sayacmarca. You will have some time to explore this area before continuing along the original path of the Incas to Phyyupatamarca at 3600 metres (12400 feet). At cloud level this provides a beautiful spot to stop for lunch, with far reaching views of snow peaked mountains and low lying valleys. From here its a downhill walk to Wiñaywayna, where you'll camping amongst the mystical ruins. Your final day starts very early but you'll be treated to a great morning as you'll reach the Intipunku (Sun Gate) where you will catch your first glimpse of Machu Picchu. The ruins are just a short walk way and after a little break you'll have a guided tour of the various sites at the lost city of the Incas. After that you'll descend by bus to the quaint village of Aguas Calientes where you'll have your final lunch as a group. An afternoon train and bus back will see you arriving back to Cusco in the early evening. Today is a day at leisure. We can arrange a city tour, or you can explore independently. You will be picked up from your accommodation and transferred to the airport for your flight home. Flights are not included in the price, but we can arrange them for you. You will need return flights to Lima and domestic return flights to Cusco. You can't fly direct to Peru from the UK, you will need to stop over in the USA, Madrid, Paris or Amsterdam. Excluded: Lunch & Dinner, airport taxes, tips. Inca Trail: Porter with a personal 7kg luggage allowance, Porters to carry camping equipment including sleeping bag and Therm-a-rest inflatable mattress, most meals on the trek, English speaking guide, emergency first aid and oxygen, all camping equipment, Vistadome train ticket and bus transfer back to Scared Valley. Excluded: Breakfast on Day 1 of trek, lunch on day 4 of trek, Walking poles (can be rented). The peak season is June - August when the Inca Trail sells out months in advance. The weather at this time is cold at night, but lovely in the days with little rain. The rainy season lasts from November - March and whilst the treks are much quieter, the rain, especially in January & February, can make the trekking harder work. The Inca Trail is closed in February, so for this month you will be offered the holiday with one of the alternative treks. That said, the weather at this time is very wet, so best avoided unless you like trekking in the rain. This holiday has been designed for families with a sense of adventure and fun. The recommended minimum age is 12. Inca Trail: You do need to be in good shape to trek in the mountains is Peru and it is recommended that you do some regular exercise in the month before you depart. That said, you don’t have to be a fitness freak; children as young as 7 and adults of 68 have completed the trail. We strongly recommend that you allow at least 2 -3 days acclimatisation before you start your trek. This is to ensure your enjoyment and well-being. You will be hiking at altitude, so it is essential that you take it slowly and at your own pace. The Peruvian government has now limited places on the Inca trail by issuing an allocation of 500 permits per day. This includes all porters, guides and cooks, so it fills up quickly. The high season on the trail is from May – September so you will need to book quite a way in advance if you want to trek this particular trail – we recommend at least 5 to 6 months in advance. This trek is organized by a professional and licensed tour operator who has been operating in the region for the past 12 years. They know what they’re doing and treat their porters well, ensuring that they are well equipped and fairly paid.